DS Bacchus and Inspector Gently. Premise: Set in the mid-1960s, the pilot episode introduces Inspector George Gently of London's Metropolitan Police, who is devastated when his wife is killed in a hit-and-run accident. He suspects her death was foul play, a result of his investigation of a gangster deeply involved with police corruption. The middle-aged detective ponders retirement, but instead transfers to Northumberland to track down the man responsible for his wife's murder. In his new job, George is paired with a detective sergeant named John Bacchus (Lee Ingleby). While Gently is a tough, by-the-book veteran cop with strong ethics, Bacchus bends the rules, displays questionable judgment, and sometimes lacks morals. And yet, Gently sees the potential for a good detective and thus the unlikely pair form a tenuous bond. WPC Rachel Coles becomes part of the investigation team in season six. Status: Seven seasons were broadcast between 2007 and 2015. They're available on DVD in the U.S.
Production Notes: Alan Hunter wrote 46 George Gently novels, starting with Gently Does It in 1955. However, in the books, there is no John Bacchus, Gently is single, and he lives in Norfolk. Prior to the Gently series, Martin Shaw portrayed P.D. James' detective Adam Dalgliesh in two two-part movies in 2003 and 2005. He also portrayed an anti-establishment high court justice in Judge John Deed (2001-2007). Lee Ingleby enhanced his own detective pedigree as an inspector in the 2008 mini-series Place of Execution. 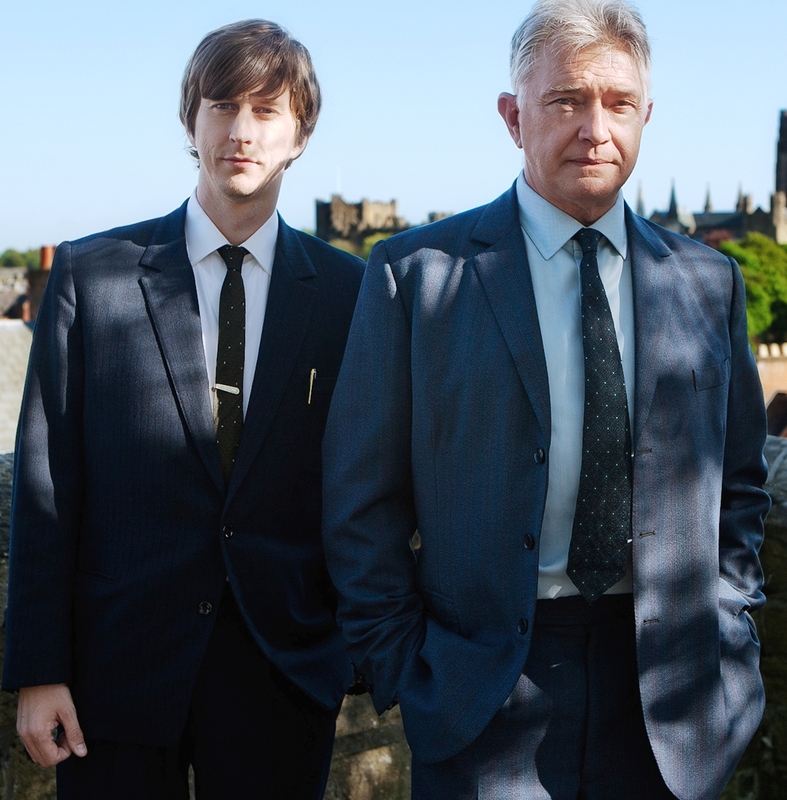 Our Review: Inspector George Gently is an exceptional detective series built around the complex relationship between Gently and Bacchus. At various times, they come across as mentor and protege, supportive colleagues, and even opponents (their heated disagreements comprise some of the strongest scenes). Martin Shaw and Lee Ingleby deep dig into their characters to the point that we cringe, for example, when Bacchus makes a boneheaded decision like getting involved with the wife of a fellow detective. The mysteries are well-written and take advantage of the period setting without drawing obvious attention to it. Although Inspector George Gently enjoyed modest success on the BBC, we're flummoxed as to why it didn't become a bigger hit. 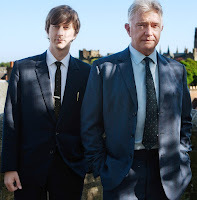 I truly enjoyed the George Gently tv series -- and would love to see a new season -- don't see that is has been dropped but don't see anything about a start date for this. I haven't seen anything about an eighth season either, but hope there is one. If this excellent series is going to end, I'd like a little more closure.